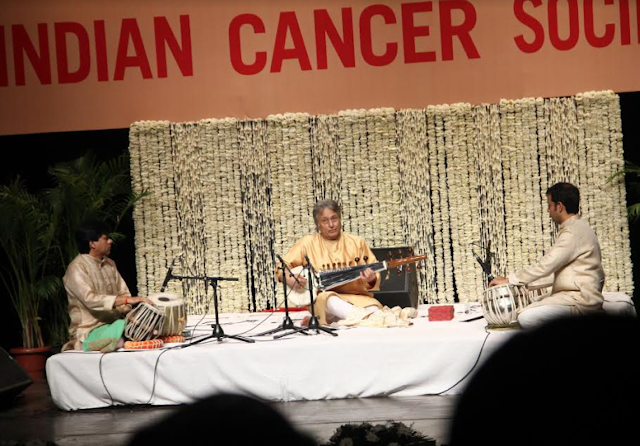 New Delhi, 14th March 2017; The Indian Cancer Society kicked off their 'Artistes Against Cancer Campaign 2017' with a concert in aid of Cancer Awareness and Medical Assistance by World renowned Sarod Maestro Ustad Amjad Ali Khan at Kamani Auditorium, New Delhi. 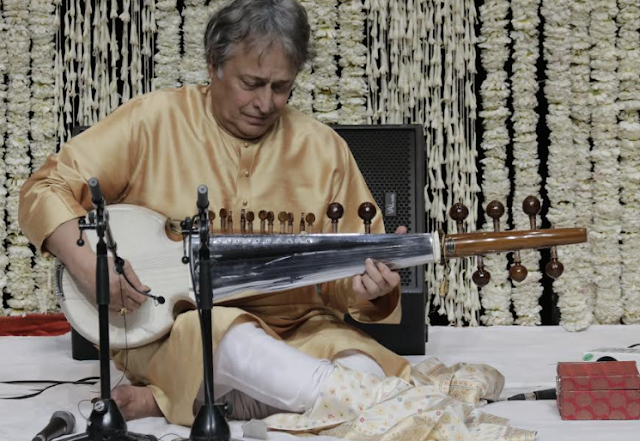 The programme commenced with lighting of the ceremonial lamp and was followed by mesmerising concert by Ustad Amjad Ali Khan. It was a treat to watch the legendary artist perform for nearly 2 hours. Ustadji was full of energy and enthusiasm, one could have felt the positive vibrations around in the soothing atmosphere. It seemed like the audience were on an unforgettable musical journey. It's an honour and I'm very happy to serve society & needy people. 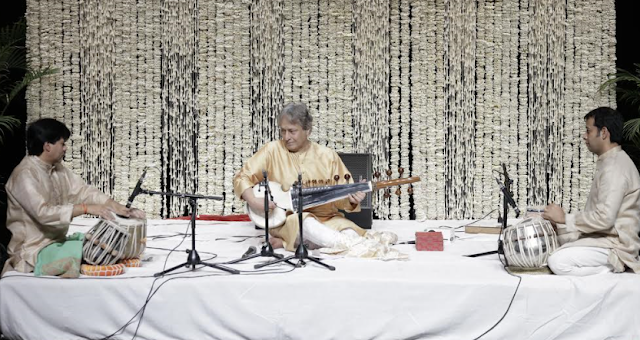 I've been performing for various cause where I feel I had the best audience ever, says Ustad Amjad Ali Khan. On this occasion Mrs Jyotsna Govil of Indian Cancer Society Delhi said, Cancer is one of the leading causes of death. The total number of new cancer cases is expected to be around 14.5 lakh and India is likely to reach nearly 17.3 lakh new cases in 2020.“We work towards elimination of Cancer through Awareness & Prevention. All musicians & dancers participate under Indian Cancer Society’s Artistes against Cancer Banner. This year we have Mr. Khan who has performed regularly at the Carnegie Hall, Royal Albert Hall, Royal Festival Hall Kennedy Centre, Santury Hall (First Indian performer), House of Commons, Theater Dela Ville Musee Guimet, ESPLANADE in Singapore, Victoria Hall in Geneva etc. He is a recipient of UNESCO Award (1970), Padma Vibhushan (Highest Indian Civilian Award 2001), Unicef’s National Ambassadorship (1996) and many other prestigious awards, says Jyotsna Govil. Indian Cancer Society's Hony. Secretary Renuka Prasad said, "The aim of this concert is to highlight the issues surrounding a wide spectrum disease like cancer and the proceeds will go towards Indian Cancer Society’s goal of spreading awareness and cancer screening at very nominal rates to the general public of Delhi NCR region. We work towards elimination of Cancer through Awareness & Prevention. All musicians & dancers participate under Indian Cancer Society’s Artistes against Cancer Banner. Our Statement of Intent has remained The Conquest of Cancer by Choice; not Chance over the years, she added.